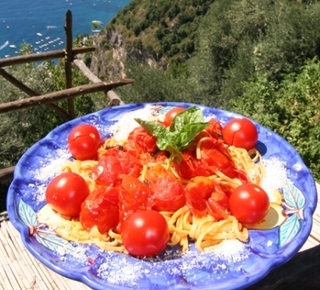 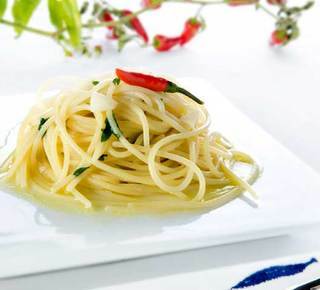 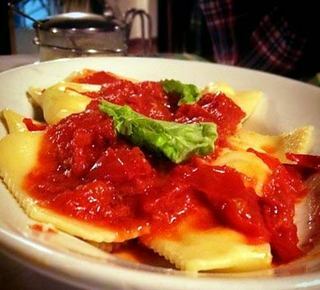 Good, honest home cooking with a breathtaking view: from you table you can see as far as the Faraglioni of Capri! 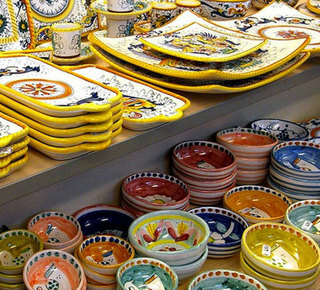 Vietri sul Mare is home to the Museo Provinciale della Ceramica dedicated to the ceramics of the Amalfi Coast and the province of Salerno. 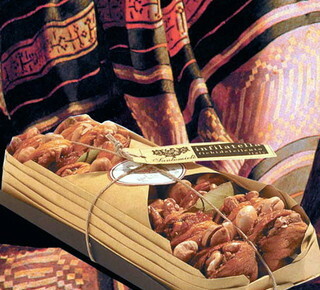 Characteristic eatery serving excellent cuisine prepared using the finest locally grown ingredients. 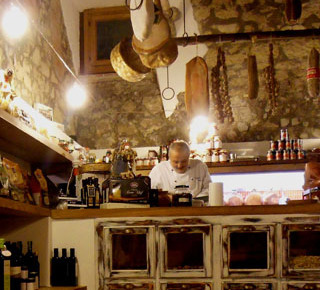 Walking through the alleys of Vietri, you will realize that they have entered a timeless place, where the families still hold the tradition to transform the clay into works of art. 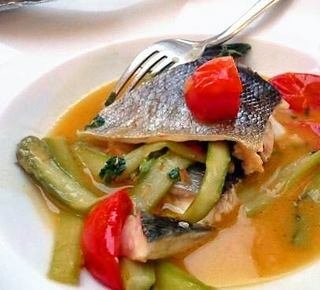 This fun, yet elegant restaurant offers local and authentic Italian cuisine, using local meats and fish, as well as fruits and vegetables from Casale Villarena's own organic garden, ensuring zero kilometer, in-season recipes. 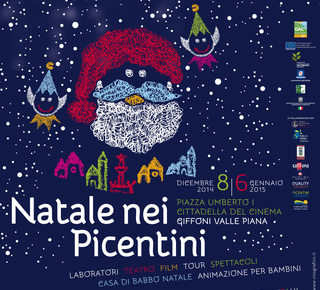 Laboratori e tour gratuiti, la Mostra d'Arte Presepiale e tante attività offerte gratuitamente ai turisti che hanno scelto di trascorrere le festività natalizie nei Monti Picentini.L'occasione è utile per nuove offerte. 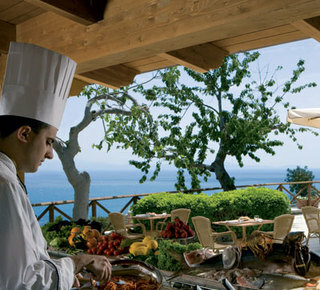 i suggest you to discovery cilento coast , to taste our delicious products , to swimming in this beautiful sea , etc..
Amalfi gives its name to the entire Divine Coast and it is one of the most world known resorts in all Campania region. 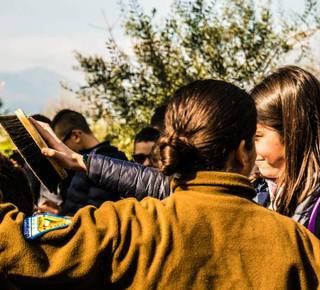 The Equestrian Center "Giacche Verdi Campania" is located in Fisciano in the the heart of Picentini Mounts. 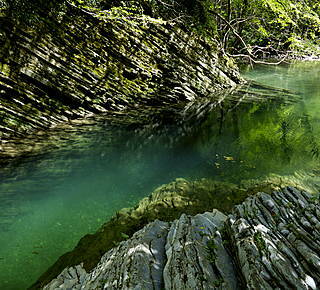 The Center offers the possibility of riding with a relaxed and calm approach with the support of qualified personnel. 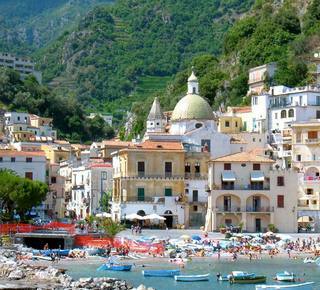 Be amazed by the villages of the coast, the enchanting views of Amalfi, Positano, Ravello and nature trails of Lattari. 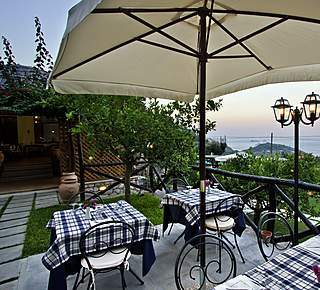 Nestled between the hills and the sea, the city offers many sights to visit: the narrow streets of the old town with its shops and restaurants with typical local cuisine and the wide promenade where you can stroll at sunset. 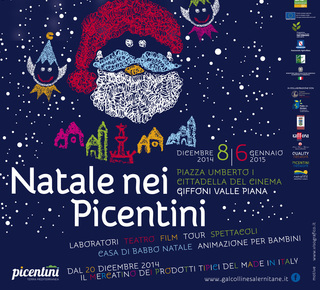 I mercatini dei prodotti tipici, le escursioni, i laboratori, la casa di babbo Natale, le animazioni per i piccini, gli eventi della tradizione, i sapori delle ricette autentiche e lo straordinario calore del territorio dei Picentini. 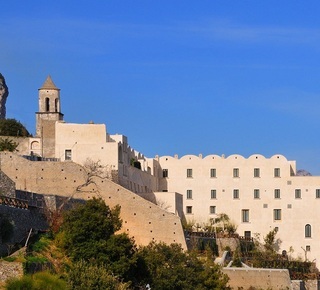 The ancient Monastery Santa Rosa where he invented the famous "sfogliatella". 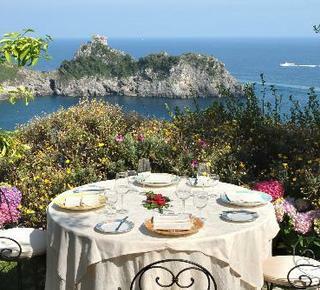 A Conca dei Marini is also the most impressive monument on the coast, the monastery Santa Rosa today 5-star luxury. 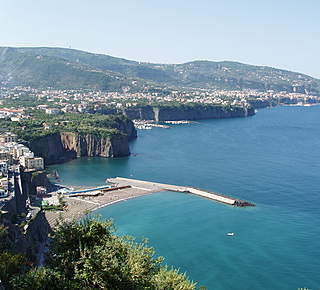 By far the best way to explore the Amalfi Caost is by boat! 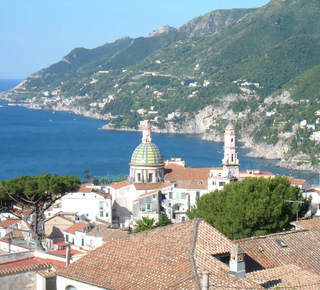 Located on the border of the Amalfi Coast and renowned for its ceramics and the majolica cupolas. 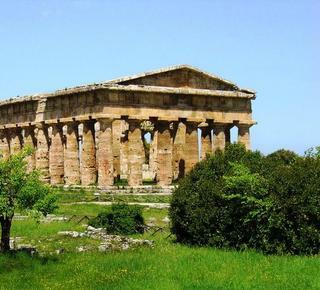 Our suggestions: The Museum of Ceramic, Cathedral of San Giovanni and the Marina of Vietri where you can admire the "Due Fratelli"
Punta Licosa is considered, rightly, one of the twelve most beautiful beach resorts in the world. 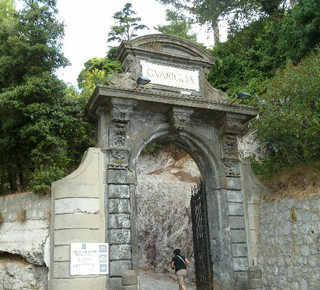 Even more beautiful because here there can only be accessed on foot, enjoying the cool of the pine forest, the sounds of the waves, the quite. 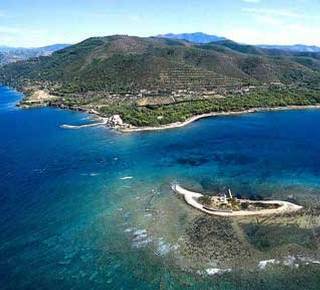 The Bay of Ieranto is the widest and deepest bay in the Marine Reserve area of Punta Campanella. 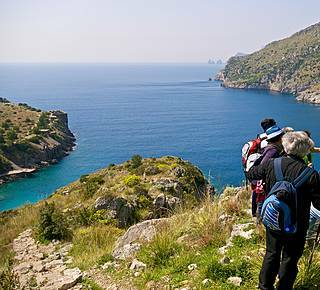 It is three kilometres long and it can be reached along the old path that starts in Nerano, an old fishing village of Massa Lubrense. 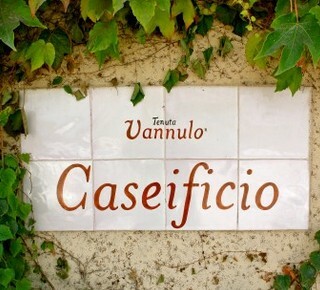 No ordinary dairy: Vannulo is a mix of innovation and tradition which, together, make every product made here so special The bufala bags are beautiful!!! 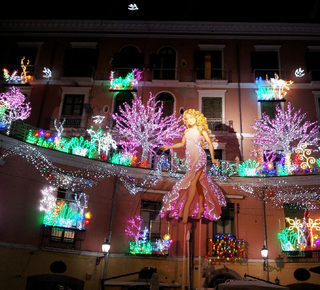 Each year, from November to January, the nights are lit by giant Salerno brilliant works of art by famous artists. 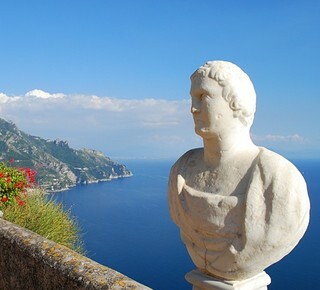 They are real masterpieces, which are installed in the most picturesque corners of the city. 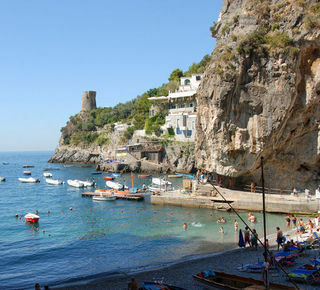 The village surrounds the picturesque beach of Conca dei Marini, who was a place for bathing Jackline Kennedy in 1962 during his trip to Italy. 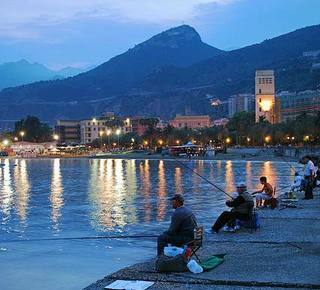 Meet the fishermen and people of the place.